The Buick Rainier was launched in 2004 as a mid-sized offering for the brand, which had previously focused on luxury sedans in lieu of SUVs. The Rainier came standard with two-wheel drive, but had options for a full-wheel drive system that improved control over the vehicle's handling. The Rainier was updated in 2007, which came with the addition of an improved electronic stability control system. Electronic stability control systems have drastically improved the safety of SUVs, but have yet to balance out the high profile of these vehicles in terms of rollover safety. Although the 2007 Rainier included this improved control system as a standard feature, this did not adequately counteract design concerns created by the high center of gravity. The Rainier was discontinued in 2007, shortly after the model received significant improvements, due to the closing of GM's Moraine plant. The Buick Rainier included many important safety features that helped reduce injuries particularly in front, rear, and even side crashes. However, these safety features did little to reduce the possibility and danger of a rollover accident and, even worse, a roof crush. This is in large part due to the high profile of the Rainier, which contributes to the possibility of a rollover. Sharp turns and side-impact collisions may cause these vehicles to tip, eventually entering into a full roll due to momentum. As a result of these rollover accidents, motorists may be injured in a devastating roof crush incident. These incidents occur when the roof beams are incapable of supporting the full weight of the vehicle during a rollover accident. In addition to the force of the vehicle colliding with the ground in a rollover, this weight can prove too much for the support beams. Collapsing in, these beams allow the roof to cave in on occupants of the passenger cabin. These incidents often result in injuries to the head and neck, which may lead to long-term disabilities. According to the federal government's National Highway Traffic Safety Administration, the Buick Rainier's ability to prevent injuries in a rollover accident is far from perfect. 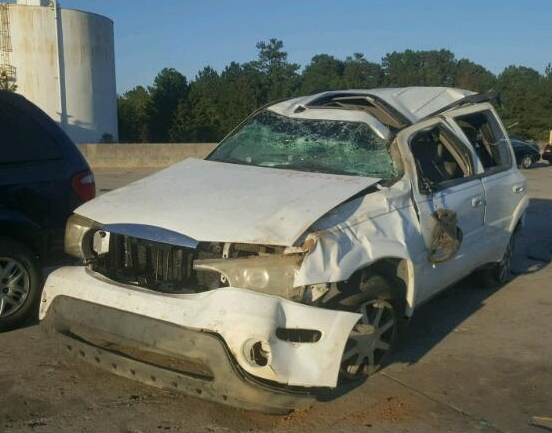 This vehicle ranks similarly to other mid-sized SUVs, most of which are poorly suited to prevent rollovers. Considering that preventing a rollover is likely the best way to prevent roof crush injuries, this is intensely problematic. The Rainier scores only three out of five stars for the standard two-wheel model. The four-wheel model improves to a four-star rating, but this still shows a relative gap in crash safety for motorists in a Rainier. Rollover accidents can cause severe injuries for those involved, particularly for motorists trapped inside a passenger cabin during a roof crush. If you or someone you love has been injured in a Buick Rainier roof crush, there may be legal options available to pursue financial compensation for the cost of medical bills and other expenses. For committed and knowledgeable legal representation, contact the Willis Law Firm at 800-883-9858.